No, he probably woke up that day just as he did any other day: hungry, alone, probably curled up in a forgotten corner of the dusty, neglected neighborhood where he’d likely spent most of his life. Apollo on the day our volunteer found him. It was trash day, so he probably rooted around the plastic trash bins that dotted the sidewalk that morning, hoping to find some yummy, filling, if not entirely nutritious food. His black coat was coarse, the hairs almost needle-like, and his eyes were a little dull, but as long as he could fill his ever-growing stomach, that’s all that mattered, right? He found two uneaten hot dogs still in their bun, and in his deep hunger and desperation he swallowed them whole. Not quite gourmet, but he hoped it would last until the next time he could find food. 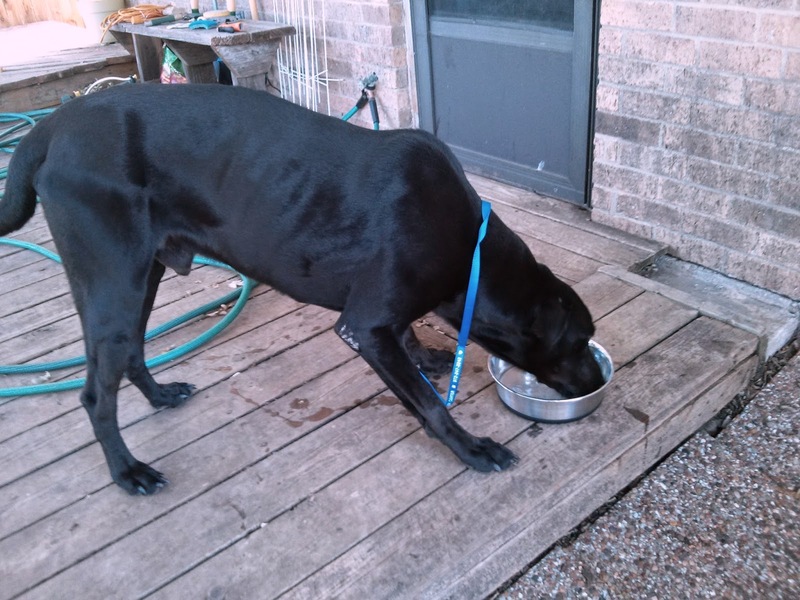 Whenever that would be.Just like any other day, he probably wandered around the neighborhood, watching people walk by, cars zip along on the busy street, other dogs growl at him as they passed. He saw them, but they didn’t see him. Despite his lean, black, 78-lb frame, he’d be hard to ignore, but he was. Everyone who passed him that morning ignored him. Not even the little boy who walked by with his father on the sidewalk paid him any attention even though Apollo tried to match their pace. He followed them on the sidewalk and hoped — for probably the hundredth time — that they’d take him home. He was tired of being alone. A woman came up that morning, though, and didn’t keep walking. She looked at him — really looked at him — and smiled. He saw her teeth and her kind eyes, and he looked away. He wanted to hope, but he’d forgotten what kindness was and thought maybe she was just lost.Or maybe he was, and was about to be found. 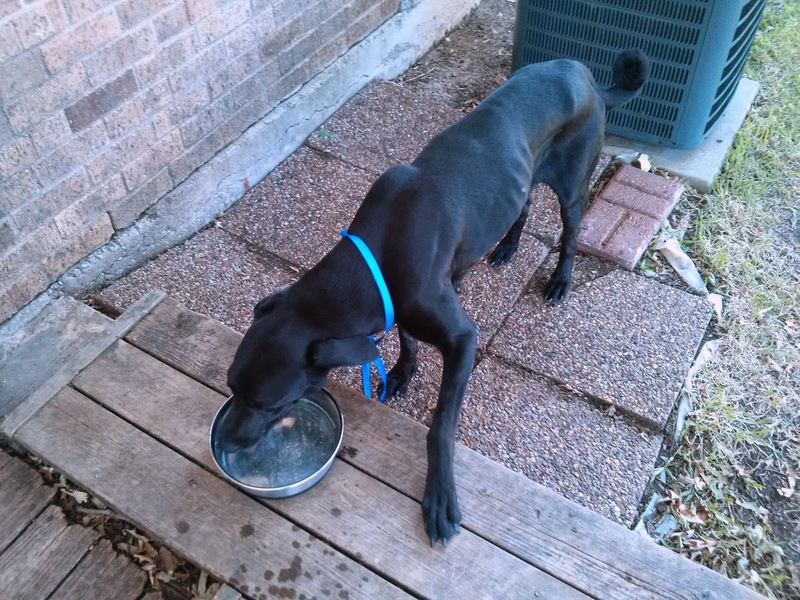 That was in July of 2013, and it was the last morning that Apollo had to wake up alone on the street, not knowing when he would eat, or what would happen to him. That was the last morning he woke up outside, without a home, without love. Apollo has since rescued by that good Samaritan and TMHPR voluneer and has been taken into our program. He’s now thriving in a loving, active and happy foster home. When he was first rescued from the streets, he was diagnosed with heartworm, but after weeks of crate resting and lots of good food, he gained muscle and weight and has since been declared heartworm free by our wonderful vets. He’s now at about 90 lbs. of nearly all muscle and is estimated to be about 3 years old. 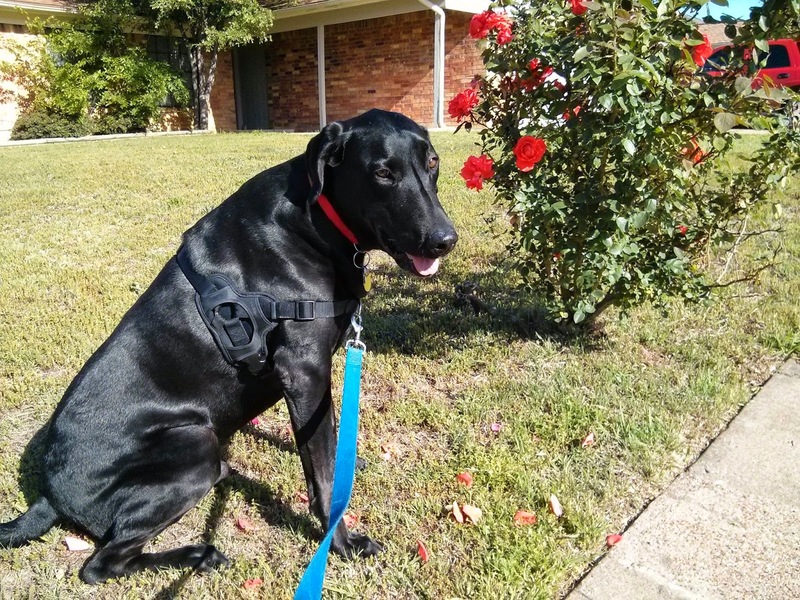 Apollo enjoying a long walk in his foster family’s neighborhood! Now, his favorite time of day is the moment when he wakes up in the morning, safe in his crate with the piles of blankets to keep him comfortable. His foster parents’ dual alarm systems don’t even need to wake him up — he’s already awake at sunrise, his curly tail wagging happily, his tongue lapping excitedly at his foster mom’s sleepy face (not always welcome, but never denied! ), ready for whatever the day may bring. He’s best friends with all of his foster siblings — although the smallest one, a three-year-old female terrier who hates everybody, would beg to differ — but especially two-year-old Gilligan, another TMHPR alum who loves everyone and will play with a lamp if it had arms and legs. Apollo and Gilligan will chase each other around the back yard until they collapse under the spring sun, and they often do. He even goes to daycare once or twice a week and has made lots of great doggy friends there! 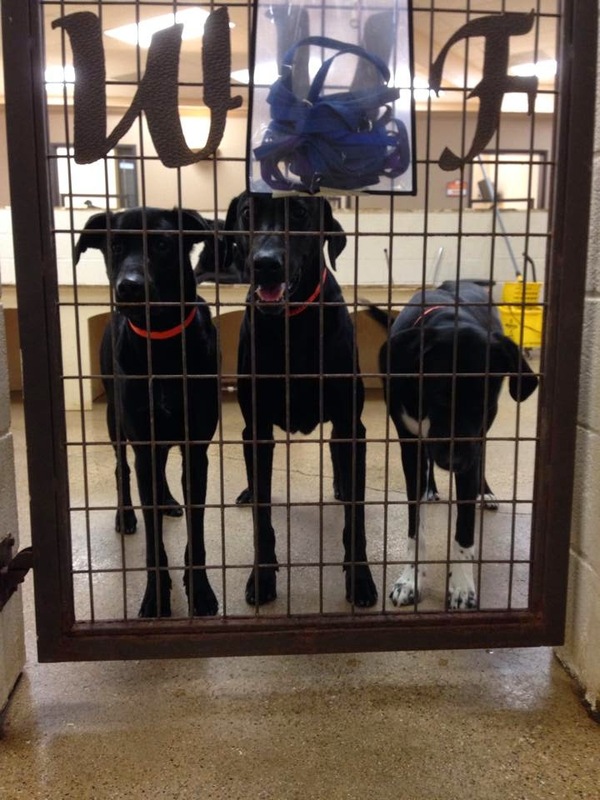 Apollo (center) hanging out at doggy daycare with his foster siblings Gilligan (left) and Mary Ann (right). Apollo would love his own forever home, one where he’ll be loved and cherished and treated as part of the family. He loves chasing cats, though, so a cat-free home is best. He’ll thrive in a home with another dog to keep him company and play with and someone to take him on long, daily walks. He’s wonderful on a leash, crate-trained, and house-trained, knows basic commands (Sit, Stay, Down, Come, and Leave It) and will be forever loyal to the lucky person or family who’ll welcome him with open arms and heart.If you’re interested in meeting and possibly adopting Apollo, please email us at adopt@takemehomepetrescue.com, or fill out our online dog adoption form. Or if you know of someone who might be interested, please share his story with them!